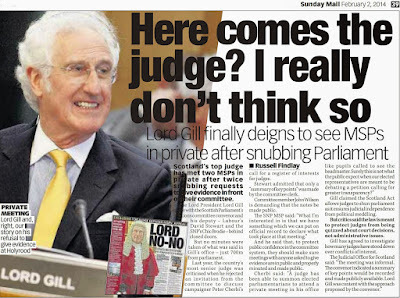 Scots judges ‘influence’ building – Lord Gill. 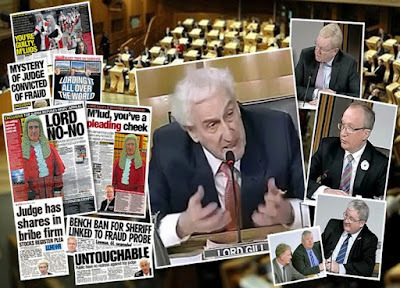 ONE ITEM which stood out in evidence given by former top judge Lord Brian Gill to the Scottish Parliament’s Public Petitions Committee last November, was the ‘influence’ Scotland’s judiciary pride themselves in being able to exert over courts and judges in other jurisdictions across the world. And the former Lord President was not kidding in what he said. 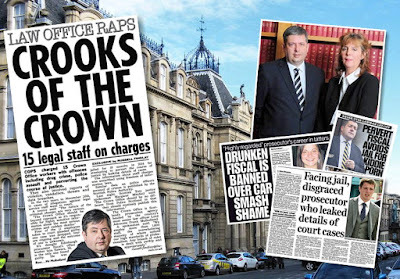 At least, not the part about meddling and peddling influence in other countries – which appears to emanate from members of the Judicial Office for Scotland who often award themselves off-the-books diplomatic roles, backed up by wads of taxpayers cash. As for admired and respected, well, not really. 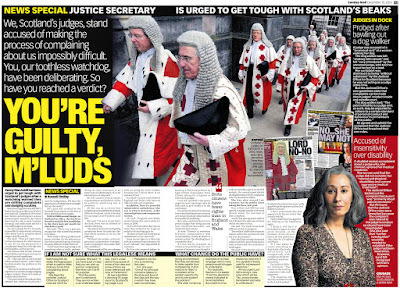 Headlines on how judges look down upon the community they are paid to serve - reveal little proof of Lord Gill’s ‘world respected’ Scottish judiciary. 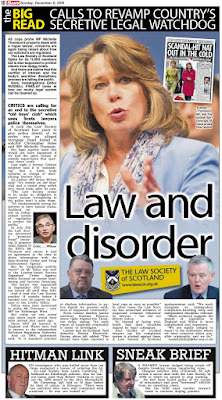 Though, of course, it is a good thing those from far off jurisdictions come to Scotland to learn of our legal system. Who would deny that. But, when someone with close judicial ties hints to a visiting legal figure - they know a company who can provide a “must have” legal service, anyone looking in realises the whole gathering is just about money, rather than sharing experience, building influence and enduring a boring legal conference. 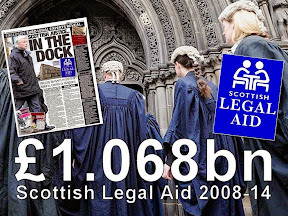 And, spare a thought for foreign companies who are handed the line they can only do business in Scotland’s courts, if they pay a certain legal firm vast legal fees to do so – a legal firm who just happen to employ members of the judiciary in various causes. 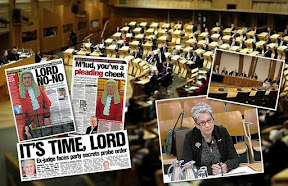 As a parliamentary probe and media investigation into judicial influence rumbles on, documents on judicial 'seminars' released by the Scottish Courts and Tribunals Service shed a little more light on the closed off world of judicial influence peddled by such bodies as the Judicial Institute for Scotland. 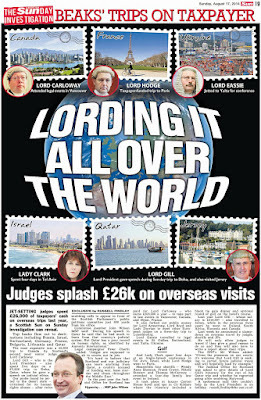 Via palm pressing, plush taxpayer funded dinners, unpublished hospitality, trinkets and ‘lectures’ to visiting foreign judges, Scotland’s judiciary has indeed, as Lord Gill said himself - built up a finger in every pie, from courts in China and links to wealthy elite, to influence across justice systems around the world. 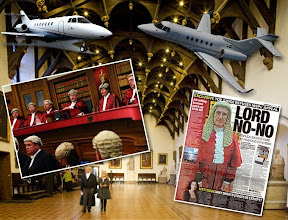 However, it is not too difficult to notice where our judges go, business follows – eager to lobby for legal services contracts abroad, sometimes in countries which can ill afford such ‘luxuries’ and in many cases, could well do without. 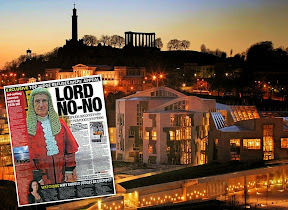 The column of corporate vested interests following in the wake of Scotland’s judicial ermine is so obvious, it stands out like a line of tanks against a violent orange-red sunset. 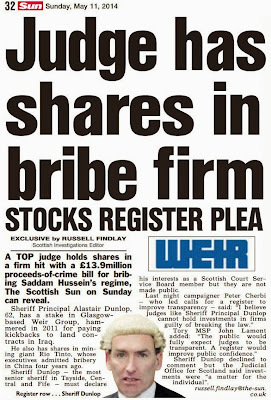 And these same corporations, among others, appear in the Judicial Rich List investigation - the very same companies and vested interests doing business in Scotland’s courts, and in which our judges hold undisclosed financial stakes they are scared to death of declaring in a register of interests - Petition PE1458: Register of Interests for members of Scotland's judiciary. Not too difficult to spot, if you know what to look for. Company note pads in a far off distant rural court, a judge or civil servant in a legal department who develops lifestyle changes and expensive tastes - after schmoozing with Scots judges & the legal profession. Gotcha. 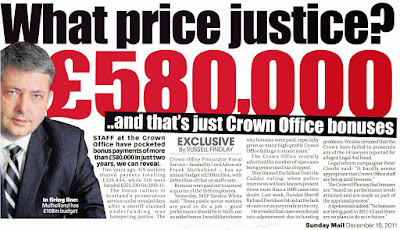 The more obvious ones such as a public official now promoting a huge corporate legal services contract to his colleagues in an area of a developing country where it does not make sense to spend millions on a commercial legal service a judge in Scotland advocates as a “must have”, solely due to the fact that very same judge in Scotland holds shares in the company. 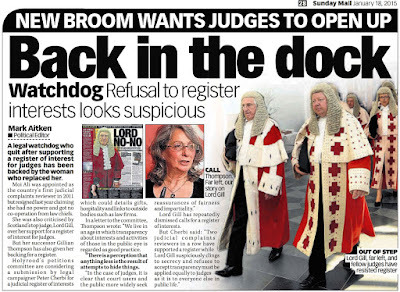 But, let us remind ourselves, we are, after all, talking about influence peddling by Scotland’s judiciary - a judiciary that spent four years battling proposals in the Scottish Parliament to create a register of judicial interests. Just imagine for a second how this looks to the outside world. Remember, for this was a Lord President who preached ‘Transparency is insidious’ to a gathering of ‘respected’ lawyers and judges. Those present, laughed, and agreed. The legal profession and justice system is supreme over all. Governments - They are subordinate to all things law, and the judiciary write the law. 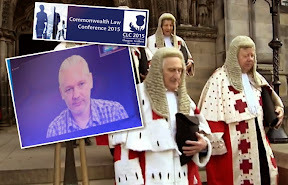 The Speech given by Lord Gill to Commonwealth Law Conference Glasgow 2015, which could be described as more of an assault on free thinking & expectation of judicial transparency, was given just before Brian Gill led a column of judges including Lord Neuberger out of the conference, desperate to flee the earth shaking sight of Julian Assange on a giant screen. Assange, Wikileaks, the media, even the Scottish Parliament - exist to represent transparency, openness, and ensure the public know what is going on. 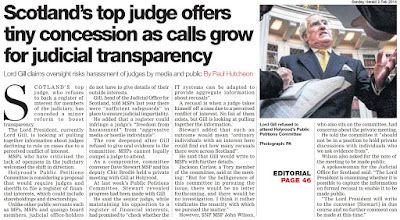 Yet Scotland’s judiciary view transparency as insidious, and fear a knock on the door at night. Brian Gill, the Lord President, said so himself - to cheers, and perhaps the odd gasp of shock. 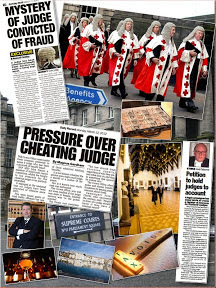 Many of the events listed are run by the Judicial Institute for Scotland – a quango created by Lord Brian Gill to give on the job training to Scotland’s judiciary. 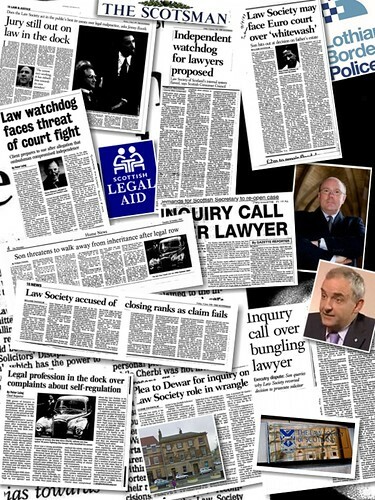 Diary of Injustice reported on the creation of the Judicial Institute by Lord Gill during his first few months as Lord President, in January 2013, here: Teaching old dogs new tricks - Judicial Institute for Scotland aims to drag Judges out of “Victorian” era ways with training, technology, & business as usual. 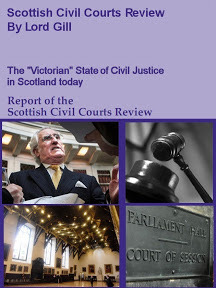 In a speech detailing the creation of the quango, Lord Gill, emphasised the importance he placed on providing judges in Scotland with high quality training in order to ensure that they are in a position to deal with the raft of new legislation and case law, and that they are fully conversant with courtroom technology and case-management expectations. 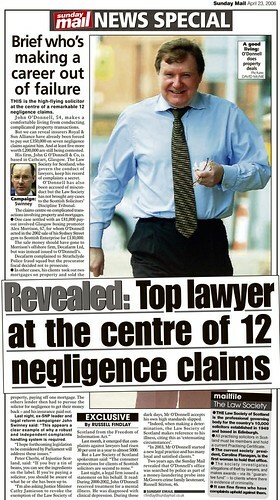 However, what was initially claimed to be little more than a meeting place for Sheriffs and more senior judges to meet and exchange views, the Judicial Institute for Scotland quickly turned into a cover for largesse, hospitality and travel junkets including overseas trips, conferences at expensive venues & hotels, and posh dinners for judges and their guests - all paid for by taxpayers cash. As journalists continue an investigation into judicial connections around the world, the scale of judicial meddling & peddling around the world in the past two years becomes more apparent in documents obtained via Freedom of Information legislation. Bear in mind these events are dressed up as legal gatherings. But as they say, it if’s worth doing, it’s worth doing for money, M’Lord. 14-16 April 2014 Lord Gill Visit to Qatar Lord Gill was invited to address the judges of the Supreme Court on developing a judicial code of conduct. £2,855.52 (overall cost of the visit) The visit actually lasted five days, according to travel expense claims. 16-22 April 2014 Sheriff T Welsh QC (Director of the Judicial Conference) Sheriff Duff (deputy director of Judicial Institute) International: The director and deputy director of the JI presented a session at the conference entitled 'The Role of the Judiciary in Promotion of a Culture of Tolerance'. Held in Islamabad, Pakistan. All costs met by host country. 22-26 June 2014 Sheriff McFadyen International Society for the Reform of Criminal Law Conference in Vancouver, Canada: Sheriff McFadyen was invited to address Crimes and Punishments from Beccaria to Present on preventing crime and promoting speedy trial: what would Beccaria think of us? Held in Vancouver, Canada £1,408.31 (overall cost of attending the conference). 2 July 2015 Lord Woolman (Vice Chairman of the Judicial Institute) Visit from Seoul Central District Court, South Korea The Judicial Institute for Scotland hosted a visit from Judge Dohyoung Kim who wished to learn about warrants in the Scottish legal system. Held in Edinburgh. No costs. 4 September 2015 Sheriff A Duff (Director of the Judicial Institute) Sheriff A Cubie (Deputy Director of the Judicial Institute) Visit from Hubei High People's Court, China: The Judicial Institute hosted a half-day visit of senior judges who wished to discuss areas including the management and supervision of judges as well as alternative dispute resolution and IT. Held in Edinburgh. No costs. 14 April 2016 Lord Carloway World Bar Conference: Lord Carloway was invited to speak at the World Bar Conference. This event brings together the members of independent boards of International Council of Advocates and Barristers. Held in Edinburgh. No costs recorded. So, next time you see a protest in another country, against a justice system which serves itself, rather than delivers justice for the community it serves, spare a minute and think, did our judges cause that mess to happen? The odds are, if you believe our own Lord President – Yes. 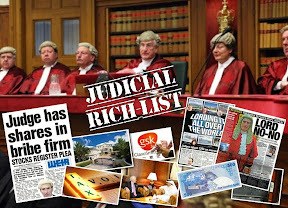 Scotland’s Judiciary serenaded Brazil judges while a major ongoing investigation by Brazilian authorities continues into British Companies who bribed their way round Brazil industry and government. The latest investigation comes after the Guardian newspaper revealed last year Rolls-Royce was facing further scrutiny over bribery allegations in Brazil after a high-level congressional commission told the newspaper it will investigate the company in connection with a sprawling corruption scandal. The Guardian further reported Rolls Royce were involved in two investigations in Brazil after the company admitted last it is cooperating with investigating bodies, believed to include Brazil’s federal anti-corruption authority. The commission confirmed the inquiry intends to examine Rolls-Royce’s relationship with Brazil’s state-owned oil company, Petrobras, currently ensnared in a multibillion-dollar bribery scandal which has prompted political turmoil in the country. 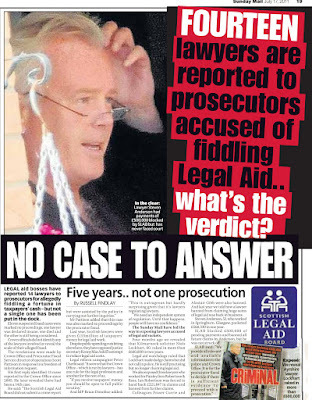 However, any prosecutions or legal action taken as a result of evidence accrued by investigators and authorities in Brazil - is likely to come before members of the AMB Association of Brazilian Magistrates - Brazil’s Judges Association – who were recently in Scotland on public cash junkets to ‘study’ the Scots judicial system and attend ‘law conferences’. The Association of Brazilian Magistrates held their second International Congress in the United Kingdom from 23 May to 2 June, 2016. After a series of events in London, up to 200 delegates headed to Scotland as guests of events in Parliament House, the WS Library, Edinburgh University and Stirling University. Information disclosed by the Judicial Office confirmed 180 judges from Brazil were serenaded at plush conferences and expensive dinners by Scottish judges who themselves hold financial stakes in companies also accused of bribery and inciting corruption around the world. Also on Scottish judges shareholdings list is mining favourite BHP Biliton, who are linked to a massive lawsuit for $44 billion over the collapse of iron ore tailings dam in Bento Rodrigues, a subdistrict of Mariana, Brazil - which killed at least 17 people. Most of what you wrote here is way above my head but I do kinda get what you are saying almost felt I was sitting in a meeting with judges while I was reading!Good sources I guess or you were there in person.Keep up the good work mister! First time I saw Parliament Hall decked out in dinnerware. This is a gathering for the judicial royalty at our expense I imagine? You mean like the criminals and drug gangs who keep judges in business right? Some fantasy that one unless I suppose you count admiration as coming from fellow thieves and crooks in the legal world. Try doubling the figure for a more realistic costing. Also I see many references to "no cost" through the list of entertainment and legal gatherings. How can any event full of judges and visiting lawyers/judges be held at "no cost"? All these events should be included in your register of judicial interests and to compliment you some more from comments I read on another article let me say your blog is fast becoming a register of judicial interests thanks to the quality of information you publish. "But, when someone with close judicial ties hints to a visiting legal figure - they know a company who can provide a “must have” legal service, anyone looking in realises the whole gathering is just about money, rather than sharing experience, building influence and enduring a boring legal conference. 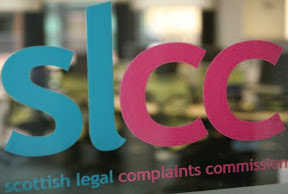 And, spare a thought for foreign companies who are handed the line they can only do business in Scotland’s courts, if they pay a certain legal firm vast legal fees to do so – a legal firm who just happen to employ members of the judiciary in various causes." Any guilty parties reading the above will know exactly who they are.No wonder they are so frightened of your register petition. Something else Gill may be wishing he did not say during the meeting. If this was designed to impress msps into closing down your petition clearly a big fail for LP. Yes well spotted the companies who come in on the back of visits to JO are steered to favoured firms rather than business being spread around the profession! Presumably to keep people from talking although as you have now published the material perhaps more questions of those firms who go around with large smiles on their faces and unexplainable jumps in profits. These are so insensitive and horrible comments from a chief judge how he got away with this and the press didnt headline what he said I do not know.Smacks of a real cover up when a judge in what is supposedly a democracy jokes about hanging people and says transparency is an insidious way! I thought you were better than this Scotland I was soooo wrong! The four entries from China are interesting.Wonder what they felt they can learn up here as opposed to the far superior quality courts of London..unless of course they came to Scotland to learn the swindling path to justice rather than a more human rights based approach. Is this the judiciary running their own secret service and raking it in at the same time?Proves once again there must be a register for judges to declare all their interests like everyone else. Oh yes corporations will follow judicial stability especially when their agents wield secrecy so they can protect the interests of their financial backers. Money buys a lot of judicial friends. This is interesting the business deals angle never thought about it until now you are correct to highlight this and all should be in a register of interests. 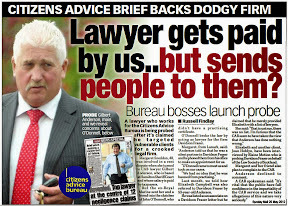 Obviously tipped off somewhere oh well good work at least someone is writing up the real news instead of soft focus drivel on tv and don't think I haven't noticed the increasing numbers of lawyers are great placed stories in the rags! China Law Society omg wonder how bad this is compared with Law Society of Scotland! Some interesting rulings from our judges friends in Hubei China! also found out in searches the same Chinese court hand out death sentences. The flip side to this is we have a few Scottish legal tycoons who run the legal profession in a mafia like operation as everyone well knows so wonder how the courts in Hubei China would treat them! Authorities in the central Chinese province of Hubei on Monday executed a mining tycoon, his brother, and three associates linked to a probe into former security czar Zhou Yongkang, official media reported. Death sentences handed to Sichuan billionaire Liu Han, 48, his brother Liu Wei, Tang Xianbing, Zhang Donghua, and Tian Xianwei were carried out by the Xianning Intermediate People's Court after a review by the country's highest-level court, the Xinhua news agency said. The executions, for participating in a "mafia-style organization," came after the Liu brothers and 34 others were found guilty of gang-related activities and murder last May. Five others were handed suspended death sentences, while four got life jail terms and 22 others were jailed for varying lengths of time, it said. The executions came suddenly, several months after the Hubei Provincial High People's Court rejected the five men's appeals, and amid widespread speculation over a possible last-minute reprieve by the Supreme People's Court in Beijing. Political analysts have said that Chinese president Xi Jinping's anti-corruption campaign against high-ranking "tigers" and low-ranking "flies" has been highly politicized, and that those with friends in the right political camps are being protected from exposure. Liu Han's sudden demise prompted suspicions that the government was seeking to limit damage to the reputation of the ruling Chinese Communist Party by killing off a key witness to the wrongdoing of officials not targeted in Xi's campaign. "We know that Liu Han must have known a great deal of secrets," rights lawyer Sui Muqing said. "He was sentenced and executed in a big hurry." "I think there is definitely a clear pattern here of silencing people," Sui said, pointing to what he called plenty of precedents in Chinese history. "This has happened many times before in China, that important witnesses are killed off," he said. Liu Han was found guilty of 13 crimes including murder, running illegal gambling establishments, and arms racketeering. He denied most of the charges, including that of running a criminal gang, claiming his confessions were obtained through a combination of torture during interrogation and threats to his wife and child. He shouted "I've been framed" and "I've been wronged" before being taken away by guards at the sentencing hearing, during which his younger brother, Liu Wei, also known as Liu Yong, was also sentenced. WOW read this part I love it! The Chinese say they will "mercilessly" hunt down officials who offer protection to crooks!! "Officials who offer protection to criminal organizations will be hunted down mercilessly," he said. The Liu brothers' personal assets were confiscated, while Liu Han's Sichuan Hanlong group was fined 300 million yuan (U.S. $48 million) for crimes including fraud in relation to bank loans. According to Xinhua, Hanlong was judged to be a criminal organization, as it had an established hierarchy and regular members and profited from criminal activities. With the collusion of government officials, Hanlong "illegally monopolized the gaming business" in Sichuan's Guanghan city, tyrannized local people and seriously harmed economic and social order, the agency said. "The case was extremely vile and harmful," the Xianning Intermediate People's Court said in a statement on Monday. According to the Supreme People's Court, Liu Han's activities were linked to eight deaths, gun sales, racketeering, vandalism, obstruction of official duties, disturbance of the peace, gambling, and harboring of criminals. Liu Han was also responsible for Hanlong Group's loan racket and other "extremely harmful" monetary crimes, Xinhua cited the court as saying. While China's tightly controlled state media have stopped short of linking Liu's case to that for former security czar Zhou Yongkang, Liu's rise coincided with Zhou's time as Sichuan party chief. Reuters has reported that Liu was once a business associate of Zhou's eldest son, Zhou Bin. On Dec. 5, Beijing announced Zhou's arrest following a probe begun in July by the Chinese Communist Party's disciplinary arm, the Central Commission for Discipline Inspection (CCDI). Zhou, 71, has been accused of crimes ranging from accepting bribes to leaking state secrets and placed under a judicial probe. Zhou's political and business empire spanned the mining and petrochemicals industries, a regional power base in Sichuan, and China's hugely powerful domestic security apparatus. Many of his former political allies, business associates, and family members are also under investigation. Xinhua quoted Zhou's successor at the party's Central Politics and Law Commission, Meng Jianzhu, as saying "criminal organizations" would be hunted down and eradicated under President Xi's anti-corruption campaign. "We will target criminal organizations when they are small and allow them no room to regroup and re-emerge," Meng reportedly told a meeting in September. A Sichuan-based journalist who declined to be named told RFA that his organization wouldn't be able to carry out any independent reporting into the Liu story. "We will have to put out the Xinhua copy," the journalist said. "We don't dare carry out our own interviews or anything like that." "This is very, very sensitive. We basically haven't been allowed to report on the Liu Han case at all." 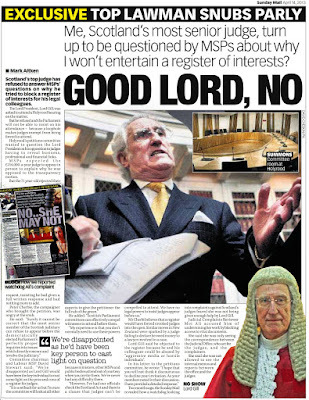 I dont want to disturb the love in with the Chinese court but shouldn't msps at Holyrood be saying something about old man Gill on the rant about hangings and our judges entertaining courts handing out death sentences? 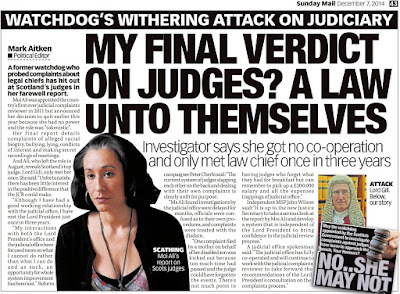 ?They were all hot and bothered enough about Nicola Sturgeon kissing up to some dodgy Chinese railway company but here we have bona fide proof our judicial mob and the Law Society mob are linked up with death sentence courts! The captcha is not working and I think my comment was lost suffice to say all this stuff about judges playing at diplomats and flying around the world at our expense is not what they job is supposed to be and of course they hate all this out in the open so time to put a stop to all of it.If they want to go flying around do it on their own money and time and allow someone else much younger and in tune with society to hear people in court instead of 100 year old judges with deffo right wing tendencies. 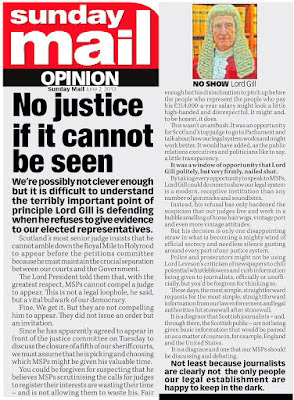 I sincerely doubt any of the foreign judges who visit our Scottish judiciary go away with the wonderful impression Lord Gill will have us believe. 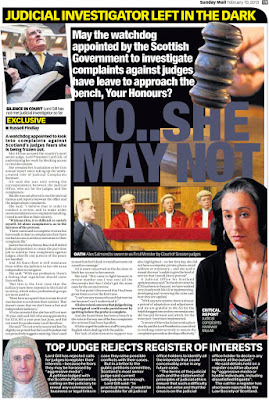 A relative of mine worked in the Scottish courts.She reads your blog and told me the judges are bad tempered old gits from sheriffs up.Have heard a few stories about what actually goes on in chambers and the dealings with PFs and lawyers behind the scenes and not in a good way. Hanging protestors in the middle of Edinburgh after they are dragged off by Police!Is this what judges from other countries come to Edinburgh to learn as part of an education? No American judges on the interference list presumably they cant learn anything from this old mob other than how not to administer justice. 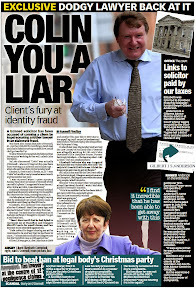 As for Gill talking to msps he is a shining example of self delusion and arrogance and notice how he saved the hanging speech and criticisms of transparency for his own easy gathering with the lawyers instead of blurting it out in between msps questions on his interests! 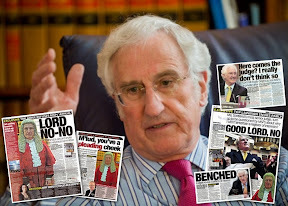 Some of them on that list will undoubtedly be boding old farts across for a chinwag on the courts but there are a few entries who could be up to something in their own jurisdictions and linking it to here.Anyway good article good to see all this out in public and keeps us all awake reading your blog! 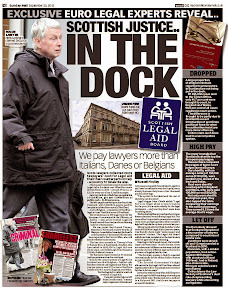 Regular front page headlines on food banks yet nothing on judges giving themselves £7,010 lunches with our money! Looking through the entries the Chinese appear to be repeat visitors for some reason best known to them.I recall you wrote an article some time back about Lord Gill traveling to China or Taiwan and blocking information about the trip. 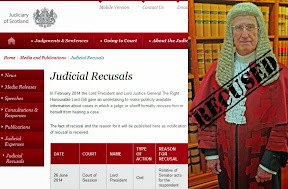 Given all the largesse around the judiciary under Gill's term as Lord President I would not be surprised if it comes out our judges have financial,business or property interests in China they do not want to declare in your register of interests. 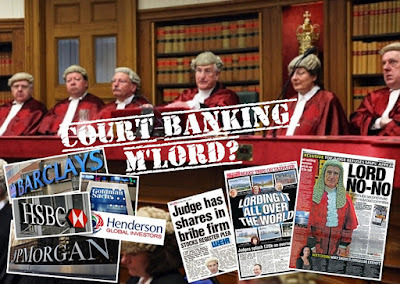 If you search through the financial details you published of Lord Gill in the Court board register you can easily trace some of the companies investment habits back to the far east.I did the same with details you published on the other judges and found financial links to countries of visiting judges to this training quango. 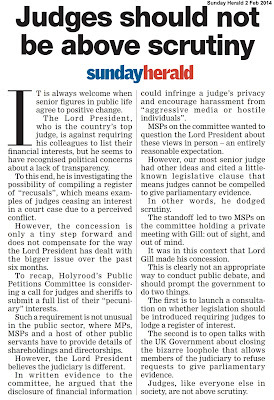 Me thinks Gill believes himself to be the President rather than Lord President.Is Carloway the same? I saw a few headlines in the papers this week about Carloway having a go at the Crown Office over the Rangers probe but the whole thing has an air of window dressing.Judge criticisms of Crown Crown say no comment story goes away.Gives judge an excuse to claim strong approach to court then all falls apart when you actually read what happened. 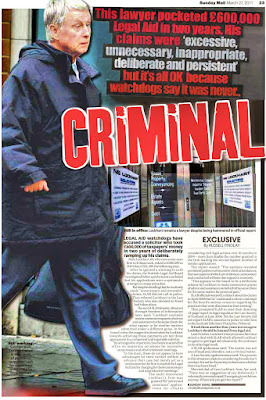 Difficult to believe anything the judges say now we know how they react when they are found out on their declarations. Business and hospitality traced from the judiciary and court staff to law firms always turns up the same law firms and other services providers with direct and indirect connections to members of the judiciary. 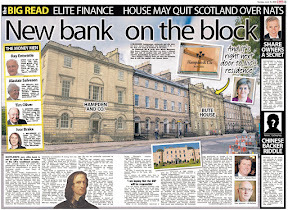 There is a far better story going around in relation to the serving of death sentences in another country and connections to top Scottish judges .. stay tuned for more. Yes, members of Scotland's judiciary do have financial and other interests in the far east. 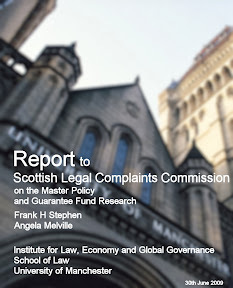 A full and independently regulated register of interests as is currently being considered by the Scottish Parliament's Public Petitions Committee would require this to be disclosed in public. 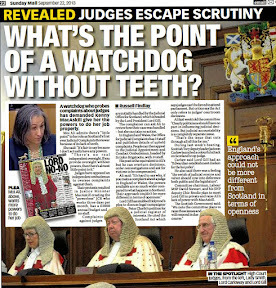 In response to published and some unpublished comments in relation to the visit by elements of China's judiciary to Scotland, readers may do well to search for coverage in media outside of the UK to achieve a more fuller understanding of how Governments outside Scotland and the UK tackle corruption in public services and corporation. 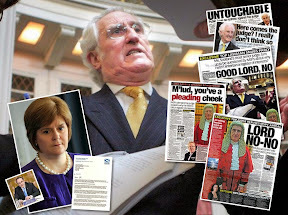 In Scotland particularly, there is a rather nasty tendency of Government and public bodies turning on journalists, whistleblowers, and in some cases targeting whistleblowers, campaigners, their friends and their families after publicity in the media reveal sizeable scandals. However, taking a wider view of corruption in the public and private sector in other countries, some governments tend to cover it up much less than here. While no system is perfect, in the UK you have programmes on television targeting some of the weakest in society for entertainment, however as the following report in the South China Morning Post reveals, President Xi's anti corruption campaign is running programmes on television exposing public officials for their own corruption. Again, no system is perfect and doubtless many slip through the net, and we could debate this forever, however if readers do expand their reading portfolio you will learn much more on how other countries go about their legal business and how judges in other jurisdictions declare their interests, and when caught not doing so, face the full wrath of public scrutiny. I agree nothing is as it seems with the judiciary.Any organ of the state spins their own set of lies to suit publicity and their position on whatever subject.Yearly claims of falling crime faster courts and improving hospital care are easily picked apart once you look underneath the surface. 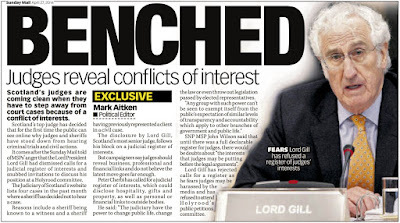 As for Gill he played his part in gifting you headline after headline of an arrogant self interested judiciary who stop at nothing to protect their secrets.Whatever happens to your petition in the end this is the impression that will always linger on Scotland's judges. 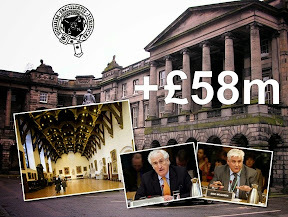 Parliament Hall done up as a restaurant for his nibs & co.
Ah well Peter this is how Scotland is.You of all people should know.The rich and powerful including the SNP Scottish Govt keep all the wealth to themselves and the rest of the population in servitude so they have someone to look down on and order about on their whim. I am quite sure those jolly judges on a jolly take perverse delight from their machinations coming to fruition but at least you give them a tougher time putting it all out there for people to read. 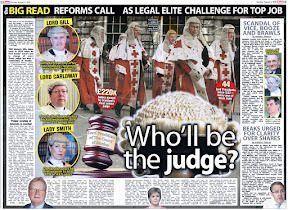 The judiciary are rotten scoundrels but what is worse is the system that underpins their power it all stinks. Indeed that is why they are so powerful. Money follows the judiciary.Little wonder Carloway and Gill are so angry about your petition for the register of their interests. 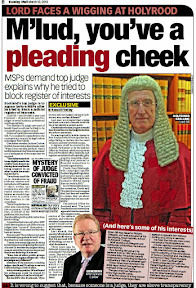 I am beginning to see how you came to realise a register is required for judges.This is far from a boring constitutional issue.Your articles constantly detail new information on how the judiciary go about their business surely this committee of msps must come to a decision and put forward a bill on their own if no one else is willing.If a path to legislation happened this way all the better for you and the parliament would gain a lot of respect for going the full measure. No doubt about it.Meetings dont happen for no reason and usually enrichment involved when everything is secret.The judicial persons going to Scotland should also be checked out in their own countries for using taxpayer money for junkets. Who remembers Dr Hans Koechler's withering estimate of the Scottish Judiciary and legal system as akin to that of a "Banana Republic". But then, her was only a United Nations Observer and Advisor to the EU on Human Rights. Very interesting as always Peter.The Judicial Institute operation is another sponge on taxpayers. 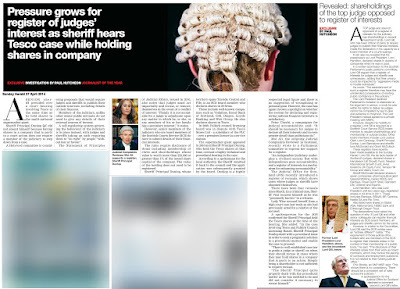 Earlier tonight when I watched BBC Panorama's investigation on Rolls Royce bribes I remembered what you were writing about judges and their links to businesses and foreign contracts. Some of the bribes discovered by the Panorama investigation were paid in Brazil and sure enough your blog published the 180 Brazilian judges at a conference arranged by Scotland's judges who are well into big business and companies paying bribes. Thanks for the suggestion and the Guardian story. This works here as several companies linked to judges identified in the Judicial Rich list investigation have links to bribes and corruption in Brazil and other countries. The article will be updated to take account of this development. So in other words if corruption cases in Brazil involving firms backed by UK/Scottish judges start failing you know who to thank - the £7K soiree organised by the Judicial Office for Scotland and Lords only know what other junkets from their UK tour. 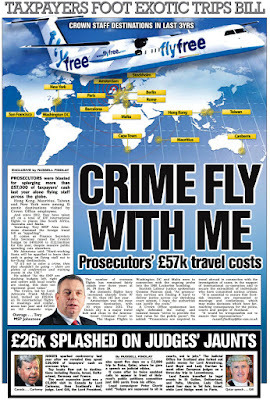 Hopefully someone in impoverished Brazil will be asking questions why 200 of their judges felt it necessary to spend state funds on a tour of the world's most corrupt and fit you up justice system in Scotland. The words "Judge" and "Brazil" do not sit well together after watching how political opponents and the judiciary impeached an elected President. In all probability Dilma Rousseff was ousted as her detractors wanting a larger share of the pie,and now have it all to themselves. Alternatively one side is as rotten and corrupt as the other. Ask anyone,this is a fact of life in Brazil. Big corruption investigations involving British firms in Brazil and 200 Brazilian judges select the UK to hold their junket cough I mean 'conference' and sit down to dinner with judges who own shares in the same corrupt companies paying the middle men paying the bribes. I doubt anyone needs a slide rule to figure out what is going on and what will happen to the corruption investigations! In doing so, it provides not only a general description of the judiciary in Brazil, but also explains its many problems associated with judicial delay, corruption, nepotism, and politicisation. 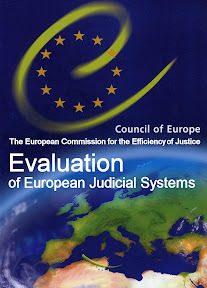 These problems have hindered the realization of the rule of law by dramatically reducing the level of social confidence in the overall judicial system. Some specific suggestions and recommendations are provided with a view to remedial actions. Was the talk of the office a certain colourful chap from the LSoS made several disparaging remarks about the China Law Society visitors after their visit ended. This is about judges setting up a training school and lying for each other when they visit countries and stitch up cases.All the countries on the list are either developing countries or countries our own judges view as submissive and subordinate to themselves.This is the real story here our judges building contacts for their businesses.No different from how the corporate world do things only this time the judges are doing same with public cash and the cover of unquestioning judicial independence. 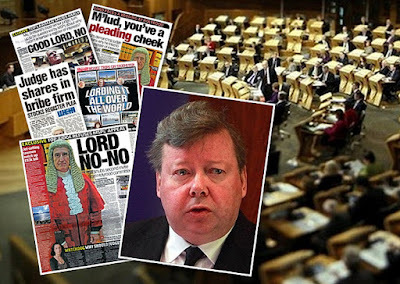 Apparently someone didn't notice Lord Carloway is the new LP,as the AMB have Lord Gill listed as Lord President! 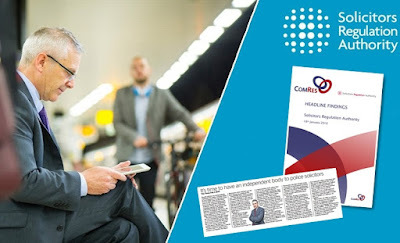 O juiz da 3ª VT de Blumenau José Lucio Munhoz embarca na próxima semana para Londres, na Inglaterra, onde terá a missão de coordenar o 2º Congresso Internacional da Associação dos Magistrados Brasileiros (AMB). Ao todo, participam 180 juízes e desembargadores de todo o país, que ao longo de 11 dias vão acompanhar debates e palestras voltadas para o intercâmbio com representantes da Justiça do Reino Unido. O evento é custeado pelos próprios participantes e pela entidade. "Queremos compreender o sistema britânico em seus múltiplos aspectos e usar esse conhecimento para refletir sobre os desafios do nosso modelo. Em paralelo, teremos brasileiros falando sobre novidades do nosso Direito aos britânicos", explica Munhoz, que também coordenou a primeira edição do evento. Além da capital inglesa, os congressistas terão encontros em Nottingham, no norte da Inglaterra, e nas cidades de Edimburgo e Stirling, na Escócia, incluindo reuniões com os presidentes de cortes superiores e das principais universidades do Reino Unido. O congresso terá palestras dos ministros Luis Roberto Barroso (STF) e Antonio de Barros Levenhagen (TST), entre outros. I was going to ask if Brazilian judges operate a register of interests however after reading the comments and doing a little reading myself where I read most judges in Brazil come from the wealthy 'educated' legal class clique therefore am guessing transparency will be as much a bitterly fought No-No there as here. A very good expose of what is going on behind our backs while we are forced to pay for all this palm pressing and business fiddles between judges.Keep up the good work! Riveting stuff judges acting on their own arranging meetings and claiming this is all about legal training.Who believes this?More like business deals and money changing hands. I was thinking about your coverage tonight when they were covering the China SNP deal with all the sleazy bribes and bungs coming with £10 billion worth of loans and second rate equipment. 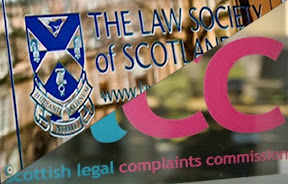 Surely no coincidence the Chinese version of the Law Society are touring our judges and lawyers and there are secret business deals to hawk Scotland off to China behind Sturgeon's closed doors of Bute house..
A row has broken out over an investment pact between Scotland and China after the Scottish government blamed the opposition for its reported collapse. The first minister signed a memorandum of understanding (MOU) with SinoFortone and another Chinese firm in March. After reports that the agreement has now been cancelled, the Scottish government highlighted a "climate of hostility" from opposition parties. Opponents of the deal called for a full statement on the "sorry episode". The agreement, said to be worth up to £10bn, was signed with representatives of SinoFortone Group and China Railway No. 3 Engineering Group (CR3) at Nicola Sturgeon's official Bute House residence in Edinburgh. However opposition parties voiced fears about the deal, amid concerns CR3's parent company China Railway Group had been named in an Amnesty International report on human rights abuses and had been blacklisted by Norway's oil fund. Ms Sturgeon said no specific deals would be done with the Chinese consortium if legitimate concerns were uncovered, with all actual investments to be scrutinised by the Scottish Parliament. The Sunday Times newspaper reported the deal had collapsed in August and claimed it had become known in China as the "Scottish shambles". A spokesman for Economy Secretary Keith Brown said the government was aware of some concerns but had not thought the deal was off. He also said opposition parties should be "ashamed" for putting potential investments at risk. The spokesman said: "We did not consider that the MOU had been cancelled but were aware that SinoFortone felt they could not move ahead at that time in the climate of hostility they faced from other parties. "However, they continued to believe in the benefits for Scotland of an infrastructure partnership with China and we remained committed to pursuing these opportunities. "The MOU is about building relationships with a view to investment and we remain committed to it. We are sorry if the partners consider the MOU to be cancelled and we remain open to working together on projects in the future." Opposition parties maintained their stance, with Labour's Jackie Baillie demanding the government "come clean" about the fate of the agreement "as a matter of urgency". She said: "Scotland deserves answers on this backroom deal - the whole affair poses serious questions about the transparency and competence of SNP ministers. The SNP government's handling of this has been cackhanded from the very beginning, so it is no wonder it has been branded a shambles. "The SNP tried to hush up this deal throughout the election, and now we find out that it fell apart months ago, and yet the Scottish people - once again - were none the wiser." Scottish Conservative economy spokesman Dean Lockhart added: "This whole episode has shown the SNP just can't be trusted with economic matters. It thought it had struck gold, tried and failed to keep it a secret, and now doesn't seem to know what's going on. large fat brown envelopes under the table stuffed of cash passing between the noble elite judiciary as they love to be called. 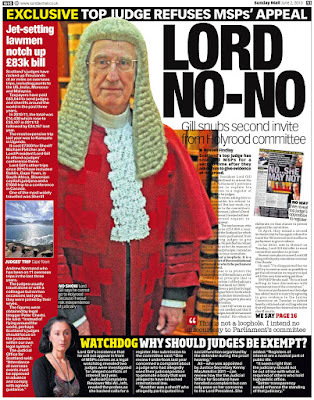 Aye Lord Gill is the £471million insidious too or were you happy to take your £200K and fly around at our expense?